Love Chocolate Chip Cookies? Love Coffee? You’re going to flip for this new creamer recipe!! 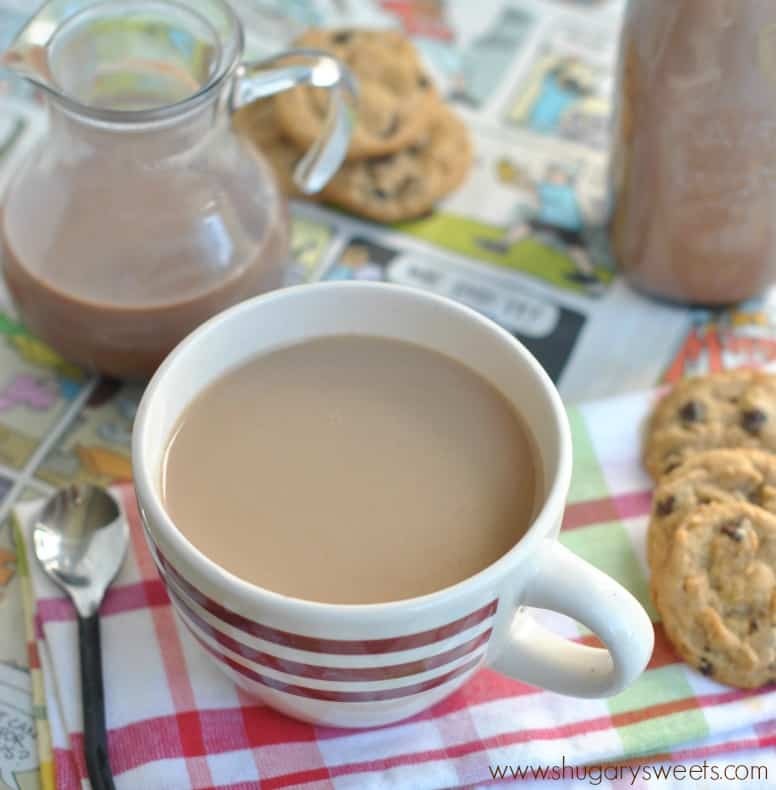 Chocolate Chip Cookie Coffee Creamer, a great way to start your morning! I was recently at the grocery store and saw a Chocolate Chip Cookie Coffee Creamer. My mind went into over drive. Of course I didn’t buy it, so I have no idea if this recipe is close or tastes anything like the store bought version. 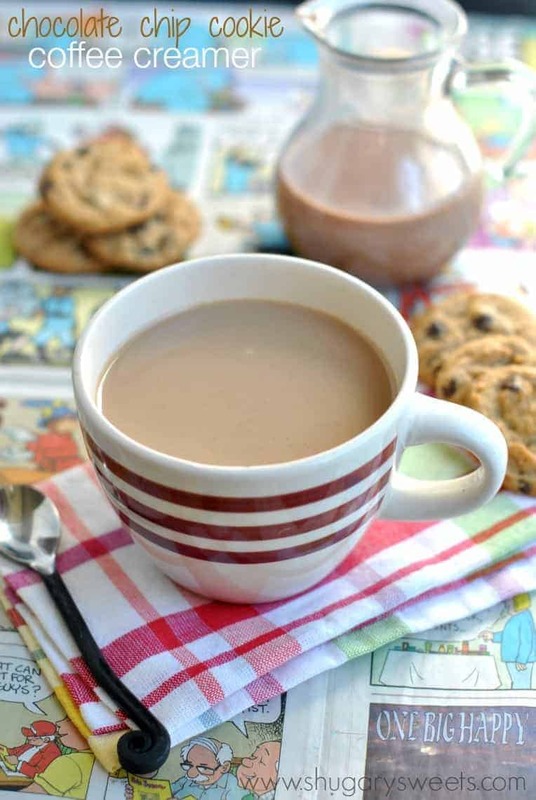 HOWEVER, if you love the flavor of chocolate chip cookies, and you love coffee creamer…this recipe is for YOU! You know you’re a food blogger when you bake cookies, JUST so you can have a fun blog prop. That’s weird right? I mean, nobody is going to complain about fresh baked cookies, and it’s a Monday tradition in my house. I try to bake cookies every Monday so we have sweet treats to last the week, for dessert and lunches. Most weeks I’m baking recipes from the blog, or using cookie dough from my freezer. Today’s chocolate chip cookie were mini, bite sized Chocolate Chip cookies (minus the chocolate dunked bottoms). But today isn’t about the cookie. It’s about the creamer. The sweet Chocolate Chip Cookie Coffee Creamer. Without trying the store bought version, I’m not quite sure what to compare this to. It’s filled with brown sugar, vanilla, chocolate. All the key components of a chocolate chip cookie! If using cocoa powder or spices/seasoning, always use a small saucepan with milk to help combine these ingredients completely. It only takes a few extra minutes, but it makes a world of a difference. You don’t really want a chalky cocoa powder taste to your creamer, right? Store your creamer in a mason jar or covered container. You’re going to want to be able to give it a good shake before using. The sweet milk (and the chocolate) tends to settle to the bottom. Shake Shake Shake. When determining your “use by” date, go by the date of your milk. I can use a batch of this creamer in about a week and a half by myself. But I drink a lot of coffee. If you need to know how long this creamer will last, check your date on your milk. That’s the date to determine your expiration on this creamer. Feel free to use fat free condensed milk and fat free milk to make this creamer a little bit healthier. Or, go full fat and use regular sweetened condensed milk with whole milk (or even heavy cream). YUM. So, we got all the details down…who’s coming over for some cookies and coffee? In a small saucepan, whisk together the sweetened condensed milk, milk, cocoa powder, and brown sugar. Heat over low heat, whisking until all ingredients are well blended. Store in refrigerator until chilled. Store in refrigerator. You can determine the "use by" date by using the expiration date on your milk. If you love coffee. Coffee creamer. Coffee mugs. Coffee quotes. Check out “MY Coffee Addiction” pinterest board! I love all of your creamer recipes, but this one has me drooling. I’m wishing I had a big splash for my coffee right now! Pinned. I hardly need any coffee with my creamer 🙂 I could pretty much drink this! Looks like another hit!!! Every time you post a new coffee creamer, I think “this would be my favorite”! THIS could really be my favorite! LOVE it! Pinned! This might be my favorite too. Maybe. Oh it is so hard to choose!! Thanks for pinning. My coffee feels a little lame right now. I need this creamer in my life! Pinned! Nothing worse than lame coffee, haha!! Thanks for pinning Jen! I’ll be over right away for cookies and coffee! I love that you baked cookies just for this post…. SO worth it!! Um you’re brilliant 😀 I used to drink coffee creamer all the time during college but stopped due to cost (and some of the artificial tastes really got to me). Chocolate chip cookies are my favorite cookie ever, so I’m excited to make my coffee taste like them! I saw the chocolate chip creamer in the store too, and I really wanted to buy it…but I didn’t. I LOVE that you have now shown me how to make it myself!!! Oh my!!! I JUST made your crème brulee creamer this AM, now I almost wish I had waited 30 mins to see this first. It’ll be next on my list for sure, yummy!!! So glad you are making the homemade creamers. 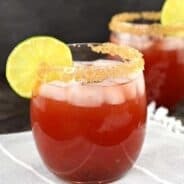 They are so easy, and that creme brulee version is a favorite! Oh who am I kidding I love them all. Guess you’ll have to try this one next! I would use comics all the time as a backdrop, but then it would get boring for you all. I love it…toss them if you spill 🙂 Enjoy the creamer!! You make the best coffee creamers! I need to add this one to the list to make! What a fun way to enjoy all that chocolate chip cookie flavor!! YUM!! Cookie flavor is one of the best flavors!! 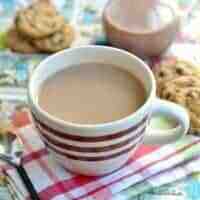 You do have the best homemade creamer recipes, girl! And I love that A. you baked cookies just for props and B. that you used comics as your background!!! Thanks for my prop love 🙂 I learn from the best! Well doesn’t this just sound AMAZING!!! Definitely giving this a try. Two of my favorites in one! MMM yummy, the best coffee clreamer. I think that it will last longer if you skip the milk and use only condensed one. I thought I was the only one that would see something in the store and have my brain run wild with recipe ideas. Apparently it’s a food blogger thing! This coffee creamer sounds fantastic. I must give it a try! We food bloggers are an odd bunch. But happy…cause we have Chocolate Chip Cookie Creamer! Ha! You seriously make the best coffee creamers! Each one of them has me drooling! 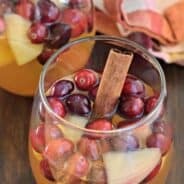 Love this CCC version – I could totally drink this all on it’s own 🙂 Pinning! Just made this and am enjoying my coffee right now! It was easy to put together and so delicious! Thanks! I admit! I saw the one at the store and bought it. I started making my own creamer months ago and hate buying it, but I didn’t have time that morning. Pretty good. But, I also immediately came home to search Pinterest so I could make it myself. So, I made yours this morning (and added some chocolate chips for an extra kick).Yummy!! I will never buy that chemical-laden one again! I make my condensed milk as well. I’m loving this! Thank you. You’re quite welcome. LOVE that you make your own condensed milk!! Yikes. That doesn’t sound right at all. By heating the ingredients in a saucepan, it will combine the cocoa so it’s not chalky. Maybe it didn’t heat long enough, or wasn’t fully whisked into the other ingredients? Good luck. My Favorite now is the Cinnamon Vanilla Cream from Coffee Mate so I am going to try the Cinnamon Coffee Creamer you posted today but I also really like the toasted Hazelnut … do you have a Hazelnut Coffee Creamer? Well I will look forward to a post sometime about Hazelnut Coffee Creamer … Thanks! I’ve been buying this for months now. It is quite expensive to keep up my addiction. So terrible I haven’t even checked the ingredients. I am so tickled to see this recipe. I’ll be trying this and many more in the coming weeks. Thank you! can’t wait to try!! what kind of milk do you use? 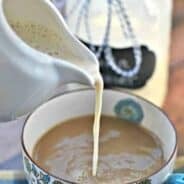 I love your creamer recipes, and I heard using the sweetened condensed milk is way healthier than the store-bought creamers, yessss!! You must tell us how you stay so skinny with all of your delicious treats! I might have to make a trip to the store just so I can make creamer, lol!! That creamer you saw in the store has been my favorite for a very long time now…and they’ve discontinued it. I’m so upset over it!!! I even went online to amazon and bought 540 little creamers to get me through. Lol. My husband found this and is going to make it! So thankful he found it! I have got to tell you!!! I love your recipes! The choc. chip creamer was awesome! but being the crazy kitchen lady that I am I had to put my own spin on it so….. I love the mocha peppermint creamer. I am always trying to be a little healthy (Had wt. problems a good part of my life & lost 75lbs!) So I studied & continue to study nutrition just for fun. (I’m a nurse by profession) I made the 2nd batch of choc. 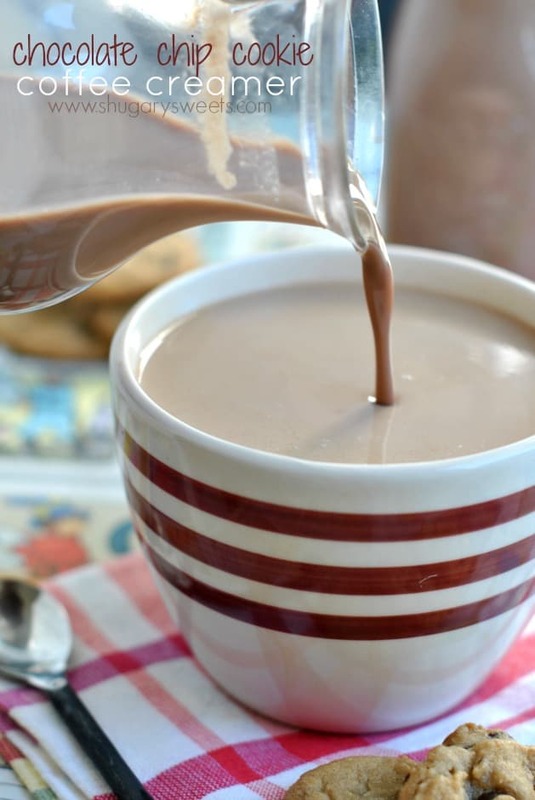 chip creamer with the sweetened condensed milk, whole milk, cocoa powder & instead of adding more sugar by using the br. sugar I added just a smidge of stevia! Then I added 3-4drops of peppermint candy oil (because I had it) and Waalaa! (spelling?) haha! Anyway I was so excited I had to let you know! This is the 1st comment I’ve ever left on a blog in my life & I’m old! 🙂 51 if you want to know the truth! Anyway THANKS for the recipe & inspiration! That sounds wonderful! Congrats on your weight loss, and thank you for the tips!! Just tried making this and my cocoa powder clumped together at the bottom. Has this happened to anyone? Not all of it was clumped, but I whisked for 15 minutes and there were still some chunks at the bottom. How long did you whisk for? Did you whisk it while you heated it? I make this all the time with no issues. Wonder if maybe it’s the brand (or date) of your cocoa powder? Is it possible to freeze extra creamer? I don’t use much at a time and would hate for it to go to waste!